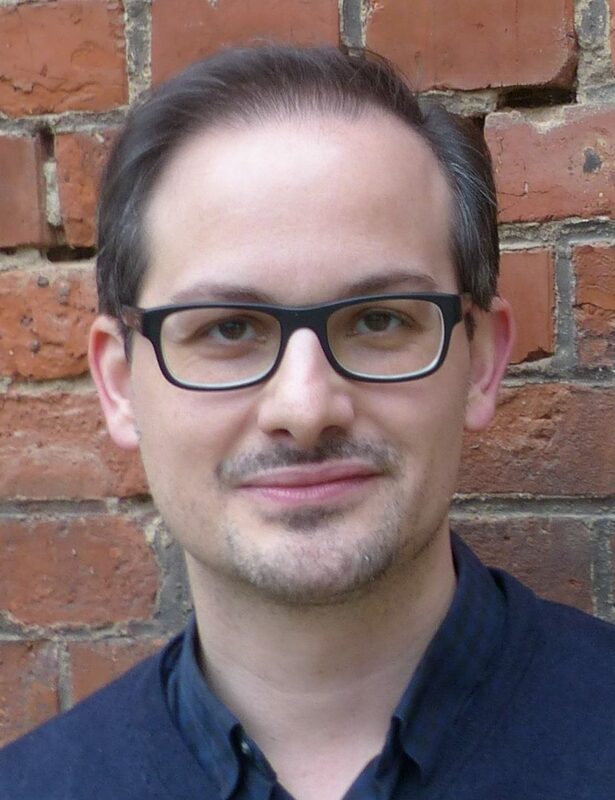 Dennis Dierks studied History, Slavonic and Oriental studies in Mainz, Dijon and Vienna and earned his PhD at the University of Jena, which he joined in 2011 as a research fellow. His research focuses on cultures of remembrance and contested pasts in former Yugoslavia and Muslim reform movements in Eastern Europe. He is speaker of the Jean Monnet Network for Applied European Contemporary History and member of the Transottomanica project. Since his little daughter began to talk he has discovered completely new dimensions of negotiating power relationships and social interaction. He is still wondering how to integrate these new findings into his research. Dierks, Dennis (2018): Nationalgeschichte im multikulturellen Raum. Serbische Erinnerungskultur und konkurrierende Geschichtsentwürfe im habsburgischen Bosnien-Herzegowina 1878-1914. Göttingen: Vandenhoeck & Ruprecht. Džaja, Srećko M. (1994): Bosnien-Herzegowina in der österreichisch-ungarischen Epoche (1878 – 1918). Die Intelligentsia zwischen Tradition und Ideologie. München: Oldenbourg. Gelez, Philippe (2010): Safvet-beg Bašagić (1870 – 1934). Aux racines intellectuelles de la pensée nationale chez les musulmans de Bosnie-Herzégovine. Athènes: École Française d’Athènes. Grandits, Hannes (2008): Herrschaft und Loyalität in der spätosmanischen Gesellschaft. Das Beispiel der multikonfessionellen Herzegowina. Wien: Böhlau. Grandits, Hannes; Clayer, Nathalie; Pichler, Robert (2011): Conflicting loyalties in the Balkans. The great powers, the Ottoman Empire and nation-building. London, New York: I.B. Tauris. Grunert, Heiner (2016): Glauben im Hinterland. Die Serbisch-Orthodoxen in der habsburgischen Herzegowina 1878-1918. Göttingen: Vandenhoeck & Ruprecht. Hajdarpasic, Edin (2015): Whose Bosnia? 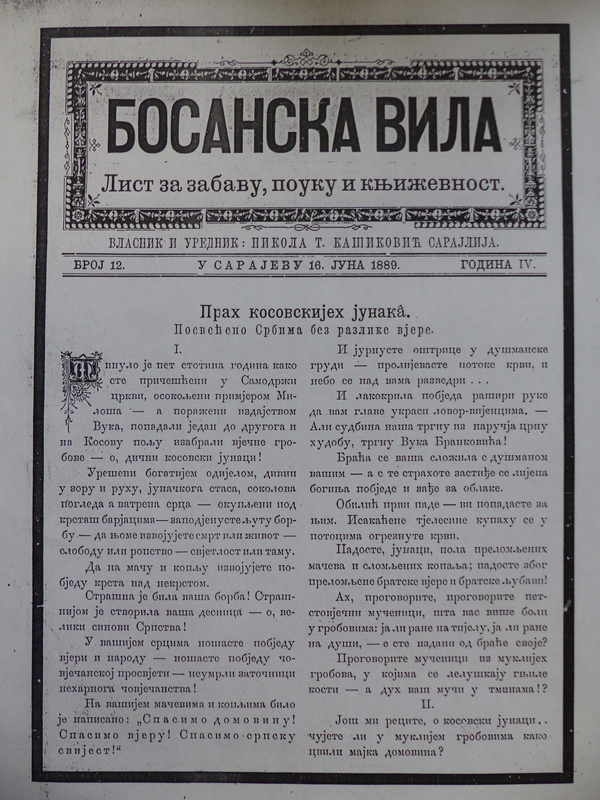 Nationalism and political imagination in the Balkans, 1840-1914. Ithaca: Cornell University Press. Herzfeld, Michael (1996): Cultural intimacy. Social poetics in the nation-state. 2nd ed. New York & London: Routledge. Immig, Nicole (2015): Zwischen Partizipation und Emigration. Muslime in Griechenland 1878-1897. Wiesbaden: Harrassowitz. Okey, Robin (2007): Taming Balkan nationalism. 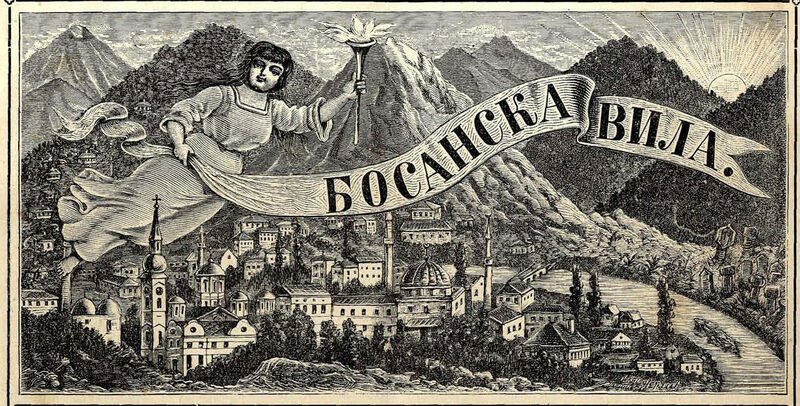 The Habsburg “Civilizing Mission” in Bosnia, 1878 – 1914. Oxford: Oxford University Press. Rohdewald, Stefan (2014): Götter der Nationen. Religiöse Erinnerungsfiguren in Serbien, Bulgarien und Makedonien bis 1944. Köln: Böhlau. Vervaet, Stijn (2013): Centar i periferija u Austro-Ugarskoj. Dinamika izgradnje nacionalnih identiteta u Bosni i Hercegovini od 1878. do 1918. godine na primeru knjizevnih tekstova. Zagreb: Synopsis. 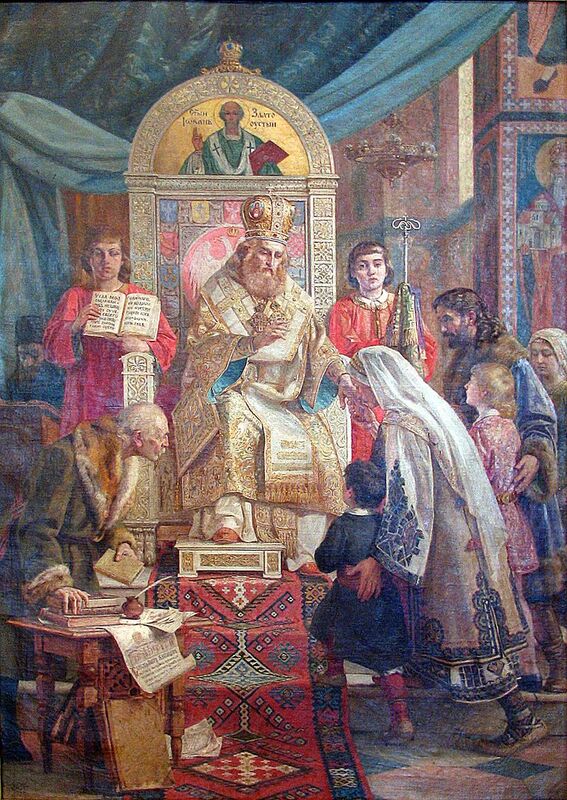 “Saint Sava blessing the Serbian youth” by Uroš Predić (1921). Saint Sava is venerated as the proctetor of churches, families, and schools.